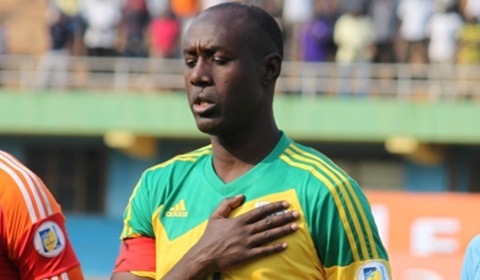 The Rwanda National Police is holding former National Football Team Amavubi player and Rayon Sports Football Club Head Coach Olivier Karekezi. Karekezi was arrested on Wednesday. Unconfirmed reports suggest that Karekezi, former Amavubi player and captain, could have given out information to the Ethiopian team to facilitate them disqualify Amavubi in a return leg that saw the game end with a 0-0 draw played in Kigali on November 12, 2017. Amavubi qualified for CHAN games slated in 2018 in Morocco, on a 3-2 score aggregate, as they had beaten Ethiopia 3-2 in Addis on November 6. Taarifa tried to reach the Rwandan Police Spokesperson for clarification on the charges, but our efforts were futile until press time. On Sunday, Police also arrested Yannick Mukunzi and Eric Rutanga after their Azam Rwanda Premier League game in which they drew with Mukura Victory Sports. Eric Rutanga, who had played all 90 game minutes against Mukura, was reportedly arrested at his home. He found his teammate and housemate Yannick Mukunzi in the police car. Police said on its twitter account that the two players have since been released after cooperating and testifying against their head coach Olivier Karekezi.